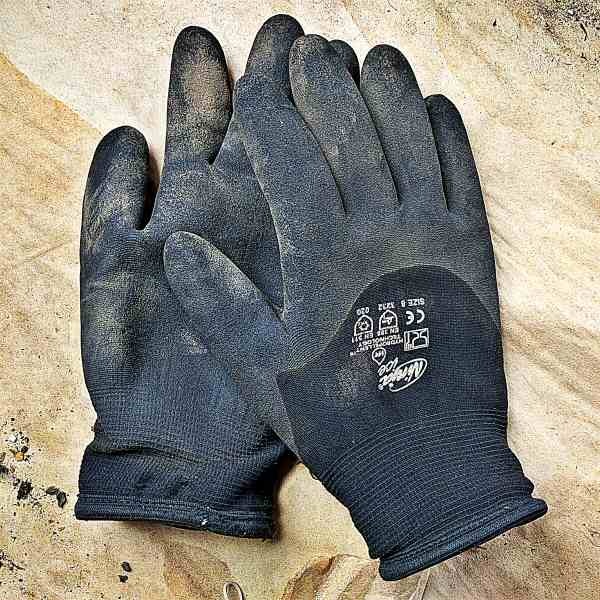 How excited can you get about a pair of gloves that you use to work in the field? Quite! Although enthusiastic may be the better word. This style of glove I’ve used for a while, for fall and winter, in cold weather. I wrote about their many fine features a while back—this particular version is the best yet, with the grippy, waterproof coating extending just far enough down the back so that they don’t get wet during normal handling of soggy stuff, while allowing enough open, breathable area so your hands don’t sweat. What more can I say? !